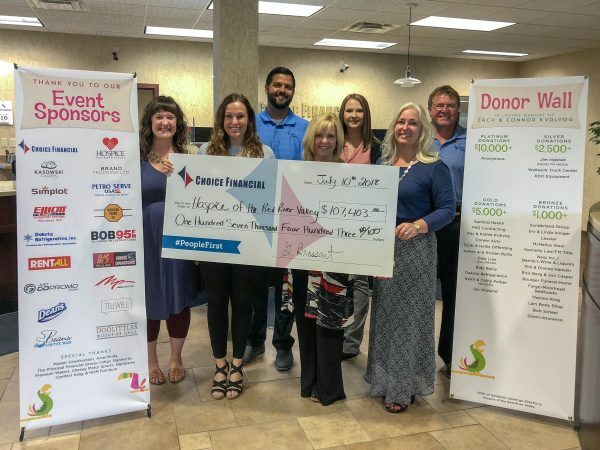 Choice Financial’s “Go Hawaiian for Hospice” lunch fundraiser, held June 26 in Fargo, generated $107,403 for Hospice of the Red River Valley. Attendees of the luau-style lunch enjoyed a roast pig, baked potato, fresh pineapple, Hawaiian punch and a frozen treat. The event also featured a memorial wall where guests were invited to remember their loved ones. Attendance was estimated at 1,300 people.